Having just won the prestigious Newbery Medal and with the new film based on his bestseller Coraline hitting theatres Friday, acclaimed author, graphic novel creator and screenwriter Neil Gaiman says he's searching for a bit of controversy, but can't seem to find it. 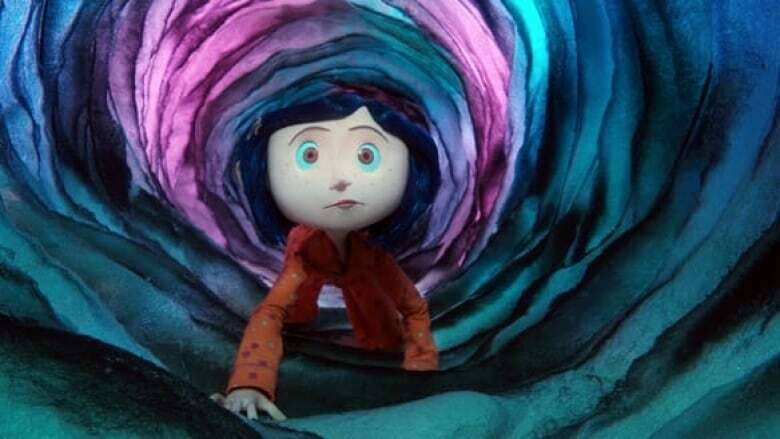 For his children's tale Coraline, a film version of which hits theatres Friday, Gaiman said he made his heroine 'a smart little girl who is going to be scared and who is going to keep doing the right thing, and that's what [being] brave is.' ((Focus Features Films))Having just won the prestigious Newbery Medal and with the new film based on his bestseller Coraline hitting theatres Friday, acclaimed author, graphic novel creator and screenwriter Neil Gaiman says he's searching for a bit of controversy, but can't seem to find it. After hearing about protests regarding the content and age appropriateness of his dark and creepy children's and young adult titles, the British writer began looking for the critics online. "So far it hasn't been a hullabaloo. There's part of me — there's an awful, evil part of me — that hopes it does escalate to a hullabaloo…. 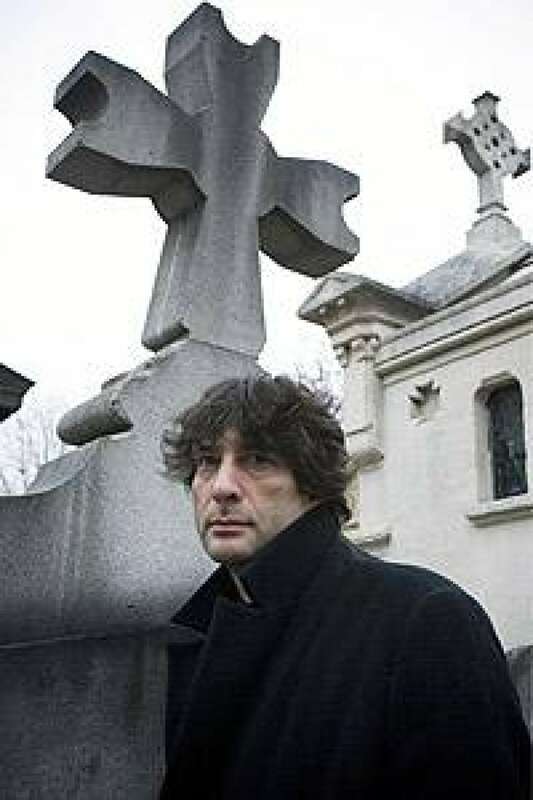 As far as I can tell, it consists of one grumpy lady on the New York Times website," Gaiman quipped in an interview with CBC Radio's Q this week. "I keep hearing that there's a huge fuss and controversy and hullabaloo and I keep looking for it… I love controversy and wouldn't mind some. But I don't see it." The celebrated writer, whose credits span the landmark Sandman comic series, novels like American Gods and films such as Beowolf, has been travelling non-stop of late to promote filmmaker Henry Selick's new movie adaptation of Coraline, based on his 2002 children's book. While he acknowledged that the spine-tingling tale — presented as a 3-D stop-motion film — might not be suitable for everyone, he said that in general, children view the story quite differently than adults do. "Children react to the story fundamentally as an adventure. They may get a little bit scared, but it's an 'edge-of-your-seat, what's-gonna-happen-next, oh scary!' thing, because you're giving them a story about somebody like themselves," he explained. "Yes, they're going up against something dark and nasty. But it's like James Bond going up against a James Bond villain. You never have any doubt that James Bond is going to get through it." However, "adults get scared," he said. "Adults get disturbed, and I think one reason for that is because it's a story about a child in danger and I think we're hardwired to worry about children in danger." Though the story itself was written by the 48-year-old author, informed by elements from his own childhood, he noted that it was actually inspired by the types of tales concocted by his daughter Holly when she was still in kindergarten. Neil Gaiman says he hasn't found any serious hullabaloo over his work, though part of him would like to. ((Philippe Matas/HarperCollins/Associated Press))"She would make me write down her stories, which were always about little girls being kidnapped by evil women, witches normally, who would disguise themselves as her mother. They were the kind of stories that would have given Edward Gorey nightmares," Gaiman said. "They were wonderful. I initially thought I should go and find some of these things and read them to her because she'd like it. Then I realized there wasn't anything like that on the shelves. So I started to write one." It was years before he had time to finish the novel and, by then, it was his younger daughter Maddy who had reached the age to enjoy the eerie fairy tale. In bringing these stories to life, frightening scenes and chilling villains are not the goal, Gaiman said. "What is important is to tell [children] that a bad thing can be beaten.... When I went into Coraline, that was what I held onto," he explained. In writing the tale, he vowed not to make his young heroine extraordinary. Rather, "she's going to be a smart little girl who is going to be scared and who is going to keep doing the right thing, and that's what [being] brave is," Gaiman said. "Tell kids that dangerous things can be overcome. Tell them that you can go out and dream. Tell them that you can go out and change the world."